Grand Master Steve Kincade is the first American-born martial artist to earn the rank of 5th dan from the International Teuk Gong Moo Sool Federation. Teuk Gong Moo Sool is the martial art of the Korean Special Forces and is also widely practiced by police officers, private security personnel, and thousands of civilians in Korea and around the world. 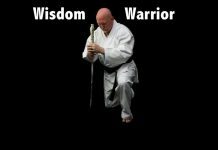 Master Kincade started his training in Louisiana with Dr. He-young Kimm in the early 1980’s, earning his Black Belt in Kuk Sool. Kincade taught at Dr. Kimm’s headquarters school during the development of “Han Mu Do” and, during this exciting period, worked with Dr. Kimm on his books and traveled with him to assist with seminars all over the United States, Mexico, and Europe. Kincade eventually earned a 5th dan in Han Mu Do. He returned to his boyhood home in Mississippi and opened his school, Academy of Korean Martial Arts, in 1998. He later affiliated with the World Kido Federation and was awarded his 6th dan in Hapkido in 2007. Master Kincade had met Grandmaster No-won Park, President and Founder of the International Teuk Gong Moo Sool Federation (ITGMSF), during a trip to Korea in 2002 where he witnessed a demonstration of Teuk Gong Moo Sool. He was very impressed and later became one of the first Americans to train in this style, being awarded his Teuk Gong Moo Sool Master’s ranking in 2007 by Grandmaster Park. 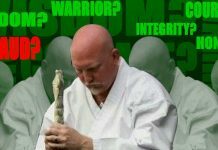 His Mississippi school is the first to teach the ITGMSF curriculum in the United States and he is the first instructor to conduct an ITGMSF Black Belt test in this country. As he studied and trained in Teuk Gong Moo Sool, he came to understand the style as a combination of tradition and innovation and the natural evolution of Korean Martial Arts. He teaches and practices with Grandmaster Park’s philosophy of, “Take everything you know and create something new” as a guiding principle. 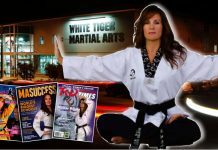 Grand Master Kincade is a personal student of Grandmaster Park and has hosted numerous American seminars. His school teaches Teuk Gong Moo Sool exclusively and is a certified “Excellent School” recognized by the ITGMSF. 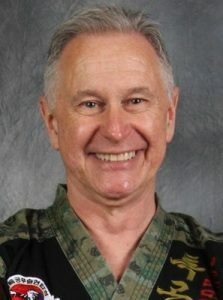 Grand Master Steve Kincade formed the American Teuk Gong Moo Sool Alliance in order to introduce and promote the Korean Military Martial Art in North America. He is a full-time instructor who teaches at his school and gives seminars and private classes for other instructors, law enforcement officers, and civic groups.